“creating future life space for humanity” is the business guideline and unremitting target of Conch Cement. 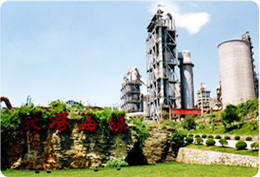 Conch Cement not only focuses on promoting its production technology and enlarging its production scale to increase market competitive power, but also takes a intensive society responsibility and recognition of environment protection, afforesting, resource synthetically utilization, and aims for building a harmonic factory all along. It is only by means of technology improvement and equipment updating that cement production environment pollution problem can be solved. 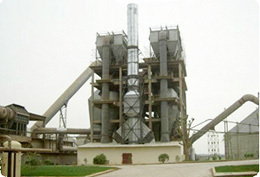 Conch cement has been persisting in popularizing most advanced new type dry process cement production technology, and took the leading in making breakthrough in low investment cost and localization for China domestic new type dry process cement production lines, and contributed a lots to the popularization of new type dry process cement production technology in China. 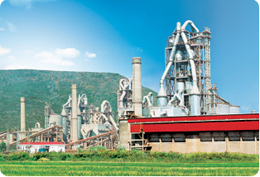 The 8000tpd and 10000tpd clinker production lines in Conch are the most advanced and biggest lines around the world, and the operation of these lines has made cement production industry of China come into one of the first grade of the world. 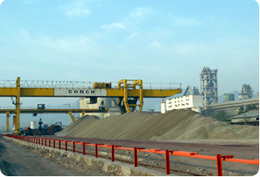 Conch possesses more than 30 sets of big scale precalciner kilns with the capacity higher than 5000tpd, including 3 of the only 7 sets of 10000tpd super scale clinker production lines in the world. 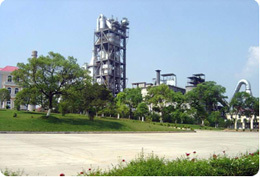 Environment pollution problem in cement production has been thoroughly solved through technical improvement. All the Conch Cement’s new lines, extension lines or modification lines have carried out environment impact assessment according to national environment management requirements for construction projects. Complying with national environment protection requirements, simultaneously design, construction inspection and acceptance of environment protection facility together with major projects, all the projects have successfully passed environment inspection and acceptance upon completion by environment protection bureau. All the production lines are equipped with high efficiency electrostatic precipitators or bag filters, and exhaust gas emission density and emission per ton product are within all the limitation figure of effective standard. 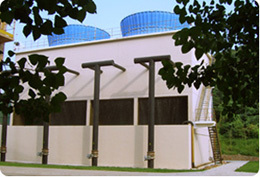 All the water drainage of production after certain treatment can reach or better than national standard. Foundation anti-vibration measure, silencer and noise insulation room are adopted to all the equipment generating noise. Noise absorbing measure is introduced inside noise insulation room. On factory border and sensitive points, the noise is within the standard requirement. 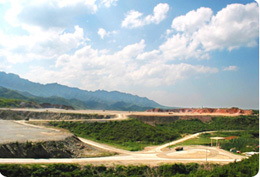 On quarry, we adopt the process of horizontal stage exploitation; the earth's surface is peeled off strictly according to exploitation progress plan. The vegetation is conserved on the area has not be exploited, and the material is sent to outside proportionally together with peeling off material. 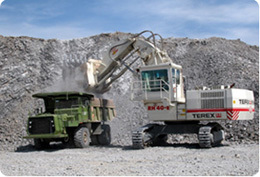 The quarry resource can be utilized 100% without waste soil and stone. Not only focusing on environment protection during construction and production, but also utilizing kinds of industrial waste residue in big sum, tying to use social waste material and constructing many new pure low temp. 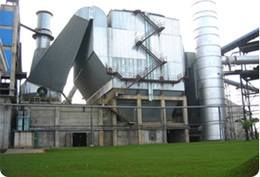 waste heat recovery generation power plant, Conch cement is always keeping developing recycle economy, apportioning social environment pollution burden and enhancing the harmonization of the factory with the society. The coal ash, phosphoric acid residue, citric acid residue and mine residue used by Conch cement annually are more than 10 million tons. 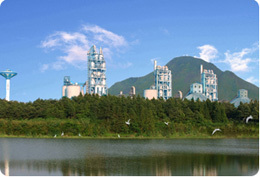 Conch cement also assisted the local government in disposing in big sum severe toxic pollution material, including “Dushuqiang”, a special poison to kill mice, has contributed a lots to eliminating regional environment pollution and improving environment quality. 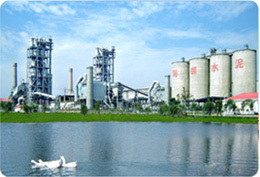 All the wet process lines have been stopped, and Conch cement is promoting pure low temperature waste heat recovery generation technology by technical modification, to continuously reduce energy consumption, lower products cost, enhance factory profit, make progress by reducing energy consumption and finally build up a factory of resource saving. Coordination and harmonization with neighbor ecological environment is emphasized during factory design and construction, and we always try our best to conserve original several 10 ha forest, making main production area harmonic with nature environment and keeping the original style and features of neighbor scene. We planted trees and grassplot to beautify main production area, quarry area and both sides of road, letting the neighbor scene not affected to form ecological factories. 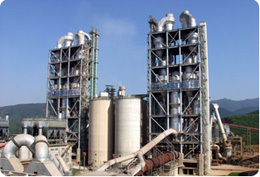 Conch cement has changed the old idea and impression of “dirty, disorder and defect” on cement factory, fulfilled the coordination of economy, social and environment, and harmonization of nature, enterprise and human being. Conch cement will realize its ultimate target―harmonic development of enterprise with environment protection and social economy.